DAVID LE/Staff photo. 5/19/15. 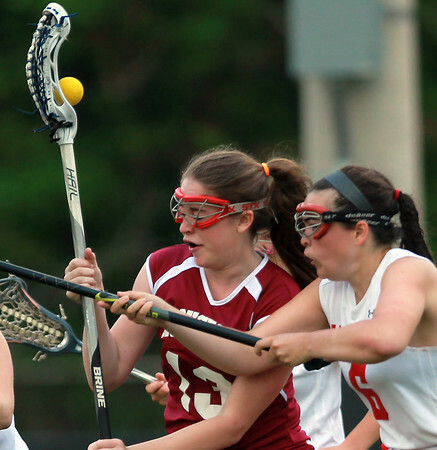 Gloucester attack Lindsey Parrish (13) loses control of the ball while being stick checked by Salem's Julia Donahue (6).